What are the key ideas/core concepts that make the ‘2 Properties to Financial Freedom’ strategy different from other strategies out there? 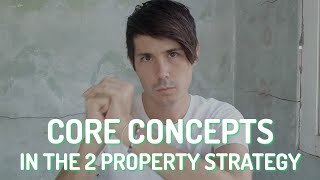 2:35 – Core Concept #1: These Properties Will Pay Themselves Off! I spoken a lot about the two properties to financial freedom strategy. And today I want to talk about some of the core concepts that you need to understand in order to make this strategy work. So we’re going to spend a bit of time today looking at some of the key ideas that make this investment strategy different from other strategies and the key ideas that you need to wrap your head around in order to really understand the strategy and make this strategy work for you. So it’s going to be a bit of a longer one today. So strap in, I hope you enjoy it. Hey, I’m Ryan from on-property dot com dot. A U helping you achieve financial freedom. And I’ve been talking for the last year about this two properties to financial freedom strategy. If this is the first time that you’ve heard it, the idea here is that you can set yourself up for financial freedom quite easily through investing in property. Instead of having some fancy fandangled property investment strategy where you had to buy 10 properties in 10 years and sell some and keep some, the strategy is very simple and straightforward. The idea is you purchase two properties, two houses to be precise and on each of those properties you build to granny flats in order to get extra rental income in order to get a positive cashflow. What you then do is focus on paying off those properties and in fact those properties will actually go ahead and pay themselves off, but you can obviously work harder to pay themselves off, so you purchased the properties, build the granny flats, then you pay off the debt and once the debt is paid off and you no longer have to pay a mortgage, you then live off the rental income of those properties. Now I do apologize for the background noise. I am filming it right next to a work site next door. They’re building this I think five or six story apartment complex right next to where I am. So I apologize for the work noise in the background. Hopefully it’s not too bad. So let’s have a talk about some of the core concepts around this idea. 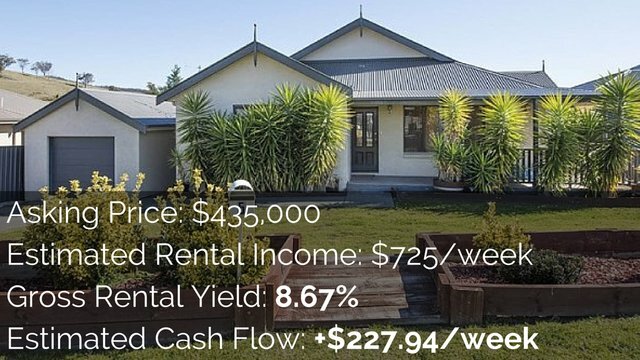 Now that you understand the strategy which has purchased two properties built to granny flats show you’re in a cash flow positive position, pay those properties off over time and then once those properties are paid off, you then live off the rental income and you’re financially free. This strategy takes about 15 to 25 years in order to reach that financial freedom, but actually purchasing the properties and building the granny flats can be done in a much shorter period of time. So the first concept that I really want to hone in on is this idea that these properties will actually pay for themselves. So when you purchase the properties, you probably know about negative gearing and investing in properties where you hope they’re going to go up in value. These properties that are negatively geared generally costs you money every single month. So you purchase them, you’re getting some rental coming in, but your expenses like rental manager fees, counsel rates, insurances as well as your mortgage tend to be higher than the rental income coming in. The reason that we go ahead and build the granny flats is so that we can be in a positive cashflow position or cashflow neutral position. And so what this means is that the properties and now paying for themselves, so we have more rental income coming in than we have expenses going out. So our rental income, we’ll pay our property manager fees, they’ll pay our council rates, they’ll pay out insurances that pay our maintenance and they will also pay our mortgage, including the principal and the interest of the loans. So the rental income comes in, the expenses go out and you have money leftover. 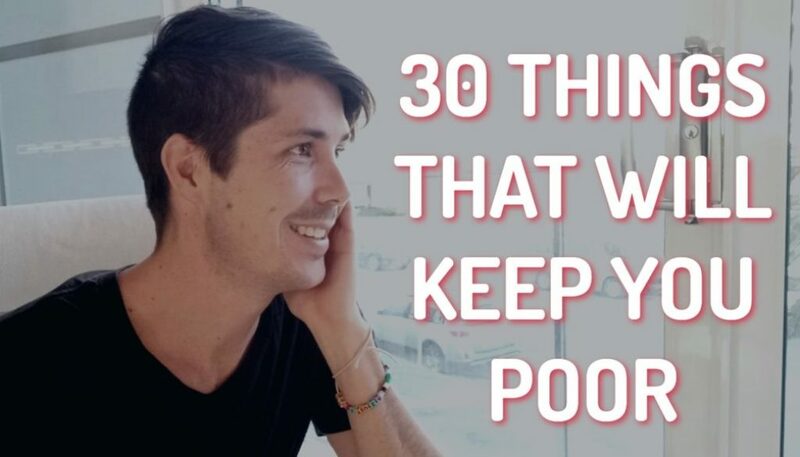 But with the expenses that are going out, you’re also paying off your loan. So effectively if you purchase these properties, rented them out and then you stepped back from them and you just let the rental income come in and to pay for the properties, you step back. You don’t really have anything to do with it apart from managing it. You’re not adding money into it. You’re not doing any of that sort of stuff. These properties in theory should then go on to actually pay themselves off. So you have a 25 year loan term that over 25 years, those properties will pay themselves off. And this is really powerful for the two property to financial freedom concept because the idea here is that you spend a couple of years with intense focus. Simon just bought his first property. I’ll link up to an interview I did with him down below where he’s talking about actually looking to buy his second property. But you spend a couple of years, maybe two to five years where you’re focusing on saving a deposit, you’re researching the market, you’re actively buying property and building granny flats. But once you’ve done that, once you’ve acquired the properties, you can then take your foot off the gas because those properties will now go on to pay themselves off and once they’re paid off, then you’ll be able to live off the rental income and be financially free. So that core concept that these properties will pay themselves off is so important because it means that you work a couple of years, you work hard, you save the deposit, you work hard to buy exactly the right properties for you and for your circumstances and your goals. But once those properties are purchased, once they bought, it’s not a hard slog of 15 2025 years in order to achieve financial freedom. The hard slog is in that two to five year period of acquiring the properties and then you can relax, take your foot off the gas and those properties will actually pay themselves off. You can then accelerate this and pay them off faster by using things like rental increases to put more money on the mortgage. Or you can work hard and put extra money on the mortgage to pay them off as quickly as possible as well. So you can take your foot off the gas or you can actually accelerate that work hard to pay them off faster to achieve financial faster, but you don’t have to. So you’re setting yourself up for financial freedom in that first stage of buying the properties and you set yourself up because those properties would go on to pay themselves off. So that’s kind of one of the most important concepts to do with this strategy. So I hope I did a good job in communicating that and I hope you really understand that idea that these properties once purchase, we’ll go ahead and pay themselves off. The next core concept is the fact that you can set yourself up for financial freedom in a quite a short time period. So I say about two to five years. That will vary from person to person. Some people will take longer than five years, some people can feasibly do this in a 12 month period. And I’ve seen clients of Ben’s clients are pumped on property, actually do this in a 12 month period. So it can be done quicker than this. It can take longer than this, but two to five years is kind of achievable I think for a lot of people out there. And that’s because you’re setting yourself up for financial freedom. So the goal is not, I guess the core concept here is that the goal is not to end to achieve financial freedom and then be happy. The goal is actually to set yourself up for financial freedom. So we’ll talk a little bit in a minute about the different stages of this strategy and why that’s important. But you’ll go shifts from, okay, I need to reach an end point where I will be financially free and I can quit my job too. I need to actually acquire enough properties and because they’re going to pay themselves off, they’ll make me financially free in the future. So your goal becomes acquiring those properties, which I call setting yourself up for financial freedom. So because they’re going to pay for themselves, all you have to do is acquire them and build the granny flats to set yourself up for financial freedom. 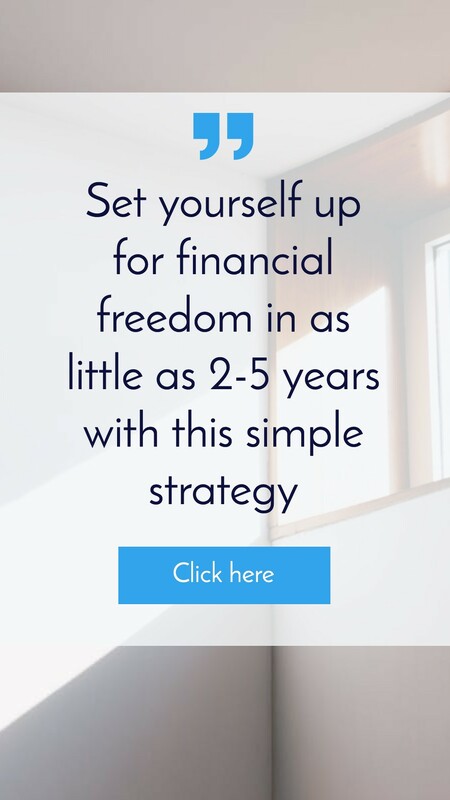 So rather than your goal being 15 2025 years down the track of when you’re actually going to achieve financial freedom, your goal becomes that two to five year window of buying the properties and building the granny flats and setting yourself up for financial freedom. So I call these properties your foundational properties because you’re laying the foundation for your financial freedom. So the gold shifts from actually being financially free to acquiring your foundational properties. And so that shift I think is a really valuable shift because financial freedom is so far in the future, it’s very hard to be motivated for that. But if you know that you can buy properties that are going to go on and achieve financial freedom for you and you know that you can do it in a shorter time period than you can just focus on the now. You can focus on saving your deposit, you can focus on researching your markets, you can focus on buying your properties and focus on building the granny flats. It becomes very apparent what you need to do and what steps you need to take in order to set yourself up for financial freedom. So your goal becomes a two to five year goal rather than a 25 year goal, which is quite daunting and overwhelming. I think that’s one of the, one of the most powerful things about this strategy or there’s so many powerful things about this strategy, but the powerful thing is that it becomes a very apparent and achievable goal that can be done in a relatively short timeframe when you’re looking at our entire lifespan. So two to five years is I guess a long period of time, but it’s not long when you’re talking about, uh, working for 45 or 50 years of your life and living to be 80 90 or 102 to five years is not a long time to set yourself up for financial freedom. So the next core concept is the fact that you have an actual clear path to financial freedom that doesn’t rely on capital growth. And we will talk more about how this strategy doesn’t rely on capital growth, but having that clear path to financial freedom is so key. I remember reading Steve McKnight’s book zero to hundred 30 properties in 3.5 years and I felt like that gave a really clear path to financial freedom that each property he purchased spun off a certain amount of positive cashflow and it wasn’t a great deal per property. But by buying enough, you will achieve financial freedom at the end. It’s the same concept of that, but you don’t need 130 properties because the concept is that you will live off the rental income from your properties. Once they’re paid off, you have a very clear strategy and a very clear idea of how much money you’re going to make at the end of the day. And so you’re clear strategy is simply purchased properties. Okay? So that includes buying the property and building the gray fire. So you’ve got sage one purchase the properties, stage two is to pay off the debt and then you’re financially free. So it’s really just a two step process or three if you include the building of the granny flat, it’s by property, ideally positive cashflow by property, pay off debt, achieve financial freedom. And so that’s it. And the thing that I like about this as well is that you can really map out how much money you’re going to be earning in the future. So if you purchase a property today, and let’s say it’s one of the two properties to financial freedom, and so we talk about a property that costs 400,000 that rents for four 20 a week, build a granny flat for 120,000 that rents for about two 80 per week. So all up it’s about $520,000 there abouts and a rents for $700 per week. Now you can map out roughly how much money this is going to give you once you’ve paid off your property. So generally you like to use about an 80 to 70% of the rental income. You will actually get into your pocket after expenses. So yet to pay things like rental manager fees, counsel rates, what else? Insurances, maintenance on the property. But let’s just assume that our property is completely paid off. Then we know that about 70 to 80% of that rental income is going to go into our pocket. So if we purchase a property and it rents for 700 per week, then we can do the maths on that and say 700 or 80% of that. So we’re going to take away $140 so that’s $560 per week. We can times that by 52 which is going to give us somewhere around 25 to 30,000 I don’t have a calculator on me. Okay, let’s, let’s do the calculator. 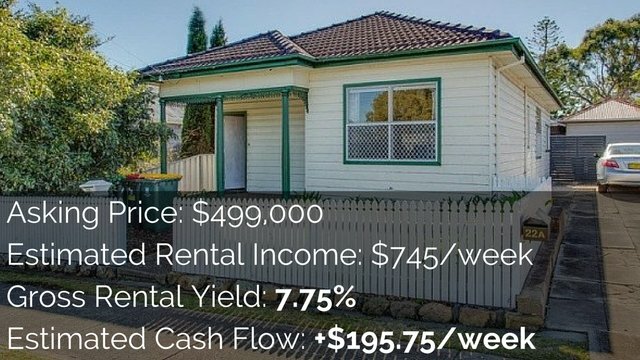 $560 per week times 52 so $29,120 so by purchasing one property in building a granny flat, we know that if that was completely paid off, we would roughly get around 25 to $30,000 going into our pocket. So it’s a very clear strategy that we know once we acquired the properties, they will be paid off in the future and then they will deliver us approximately that level of income. Now, obviously by investing in the property, you want them to grow in value and grow in rental income. So by the time they’re paid off, there might earn you more money than that or maybe they just keep up with inflation and they earn you more money, but it’s kind of the same effect on your bottom line as what about 30 grand would be today we have a very clear path to financial freedom and so you may say you might live extremely frugally and say, look, $30,000 on a single person. That’s actually enough for me, especially if I own my own home as well and have paid that off. I could just have one property with one granny flat or you might say, look, $30,000 or 25 to 30 is not going to be enough. I want to have to as a single person. So being around 50 to $60,000 per year price range, um, as well as maybe buying my own house and paying that off. Or maybe you’re a couple of maybe have a family and you say, look, 50 60 grand, that doesn’t quite cover it when you have three kids. That’s definitely the position that I’m in. So I might want to go from two properties to financial freedom to four properties to financial freedom. So two properties to financial freedom is really talking about baseline financial freedom. So you can get by, you can live a fairly comfortable life and not have to worry about money and not have to worry about work. But obviously we want to step above and beyond that. We want to be wealthy, we want to have a really nice life. So we started to, and then we tend to expand from there. But yeah, you have a really clear path to financial freedom. The next core concept is that there are really key three key stages to this journey. And me and Ben had talked about this. Ben, the buyer’s agent from pumped on property have talked about this in multiple videos and we’ve kind of always talks about the three stages. There’s always been really similar, but we’ve changed the naming around the three stages. Just constantly trying to make it more clear to you. And at this point I’ve kind of renamed the three stages and am looking at communicating that with you. So you may have heard us talk about these in the past, but use different names. So the three stages that I see them is stage number one is by, so stayed. Number one is when you’re buying your properties, you’re building a granny flats, basically you’re building your portfolio. So stage number one is that acquisition stage where you’re actively working to acquire those foundational properties. So stage number one is buying properties. Stage number two is paying off debt. So you’ve now acquired the foundational properties and you build the granny flat on them. Those properties are now paying themselves off. Your focus now goes towards paying off debt because you have enough properties for financial freedom in the future. So your focus shifts from actually actively going out there, saving deposits, researching markets, buying properties. You’ve done that ticked off, you’re done. Your focus now shifts to paying off debt, and you can do this in two ways. You can try and do this as quickly as possible, so this may be continually working in high paying jobs to add extra money to the mortgage. It could be through doing side hustle and businesses. It could be through investing in property that gets capital growth and then flipping properties and using those chances of cash to pay off debt, but your focus shifts to paying off debt. You can do it quickly and so you can focus on doing it as fast as possible and working hard to do that. Or you can take your foot off the gas and do it slowly so you can just let the properties pay themselves off. Excuse me. You can just let the properties pay themselves off and then you can focus on living your life and being happy. I recently did a live strategy session with Ben Everingham. We’ve been ran a strategy session with me as the subjects. That’s a really good episode. I’ll link up to that down below. But you can see in that that the reason that I hadn’t invested in property yet is because I was constantly pursuing my happiness in my life and trying to find out what would make me and my wife at the time, Kelly and our family what would make us happy. And so we have passive income coming in from our business and so we could go ahead and do that. So the same thing with you is that you could slow down, let these properties pay themselves off. And then instead of focusing on trying to pay them off as quickly as possible, just leave them, let them do their thing, and you then focus on your own happiness in your life. So that might be changing careers to pursuing something that you’re really passionate about. You still need to pay your bills at this point in time because you’re not financially free, but the pressure is off. The stresses off your financial freedom is set up. So for the next time period you can just focus on really enjoying your life, enjoying your work and your relationships and things like that. So you could choose to pay off debt quickly or you can choose to pay off debt slowly. So stage one is buying properties, stage two is paying off debt and stage three is freedom. And so stage three happens at that point, your mortgages are finally paid off. You make that very last payment on your mortgage. You no longer have to pay the banks anymore. And so what happens now is that you are now able to live off the rental income after you pay those expenses we talked about. So three very simple stages there. Stage number one, buy property. Stage number two, pay off debt. Stage number three is freedom or living your life and being financially free. So that’s another core concept is that it’s really broken down into three key stages. And so you know exactly where you’re at in the journey. Um, another core concept which I just touched on is that idea that you can pay off debt quickly or slowly. And this core concept is really summarized in the fact that you don’t need financial freedom to pursue your happiness and to pursue who you want to be and the life that you want to live. So traditionally, the way we talk about investing is that you work hard and that you invest. And when you reach that point, when you reach stage three and the journey of freedom, when you reach that point where you’re financially free, then you just stop working and you become happy. Okay? That’s traditionally how we talk about it. And that is the journey that I went on. Now, I went on that journey on a shorter timeframe to most people. I achieved a version of financial freedom at 28 so 28 I didn’t need to work anymore, but I had enough income coming in from my businesses that I could live quite a comfortable life. So I spend about two to three years where I didn’t really need to work. I would work a little bit each way to maintain my businesses and I’ve worked to try and grow income a bit, but I didn’t need to work. So I had this, I guess what a lot of people would do over the course of about 40 years. I kind of squish that into a few years. So I went from working in a job, quitting that job at 25 and building my business. So from 25 to 28 I focused on the business. A 28 I had pseudo financial freedom, so a version of financial freedom. And what I found at that point in time was that I had been working up until this point, I was thinking, I’ll just work hard, super hard, super hard, until I financially free, then I’m going to be happy. And you’ll see that I really wasn’t happy when I reached that point and achieved financial freedom. So I do think that the way we go about it is completely wrong. And I do think that once you reach financial freedom, there is no pot of gold at the end of the rainbow. You don’t reach financial freedom and then you’re happy. In fact, when I reached financial freedom, I went into a deep, dark depression because I no longer needed to work anymore. So I no longer had anything driving my life and I didn’t understand what made me happy. I didn’t understand what my motivations were. And so I just felt very lost in life. And it took me a period of 18 months to two years to figure out what my motivation was to work and how I can be happy in life and not be depressed. And so yeah, that, that journey and that having that goal that once I’m financially free, then I’m going to be happy. That’s a false goal. So I’m also going to link up to a video down below where I talked about what it feels like to be financially free. So you can see a part of my journey there and you can see how it’s not a pot of gold at the end of the rainbow. So I don’t want you to waste your time like I did. I was really fortunate in the fact that I achieved it at 28 and work that out at 28 I don’t want you to do this and achieve it at 50 or 60 or 70 and then realize you’re not happy at that point. So one of the core concepts of the two properties to financial freedom strategy is the idea that you don’t need to achieve financial freedom to start pursuing your happiness. So I waited until financial freedom. Then thought, okay, how am I going to be happy with the stages of this investment strategy? Because you have that work hard stage, which is stage one buying the properties. Once that stage is done, you know you’re going to achieve financial freedom in the future. If everything goes to plan, you know the properties are going to pay themselves off. You still have to pay your bills, but you don’t have that pressure anymore. So now is the time. Once you finish stage one and you step into stage two of paying off debt, now is the time to really assess your life and to say what makes me happy? What is going to make me fulfilled? Where am I motivations? What sort of relationships do I need to have in my life in order to be happy? And so you don’t need financial freedom to do it because you know you’re going to achieve financial freedom. The pressure is off and they just have to focus on, well, yes I need to work and I need to earn enough money to pay my bills, but what sort of career do I want to work in? What’s going to keep me fulfilled? You don’t need to think, well, I need to work in this job so that I can earn enough money for the next 40 years to go into my super. You know that in 15 or 25 years you’re going to be financially free. So you could say, well, for the next 15 years, what’s going to make me happy? What’s a job that I’m going to feel fulfilled him? Because my financial future is set up anyway. So if I live 15 years, not being as rich as I would like or not having the car that I would like, but I get to go to work each day and absolutely loved my work or I get to pursue relationships that I absolutely love rather than things that are not completely set on then that is extremely powerful and you’re getting 15 years back of your life that you wouldn’t have had if you’d just stayed in a job that you hated until you were financially free. So it Kinda gives you a leeway there where you’re not financially free, but you can’t pursue happiness in that time. I feel like I didn’t communicate that concept properly, but I hope it gets across to you that it does give you some flexibility and freedom of choice because you don’t have the pressure anymore of whether or not you’re going to be financially free. The next one is that next core concept kind of comes after stage three which is financial freedom. And that’s the core concept that you don’t stop once your financially free. So once you’ve gone through stage one, you’ve acquired your properties, you’ve gone through stage two, you paid off the debt, you’ve reached stage three where you’re financially free. You don’t need to stop there. 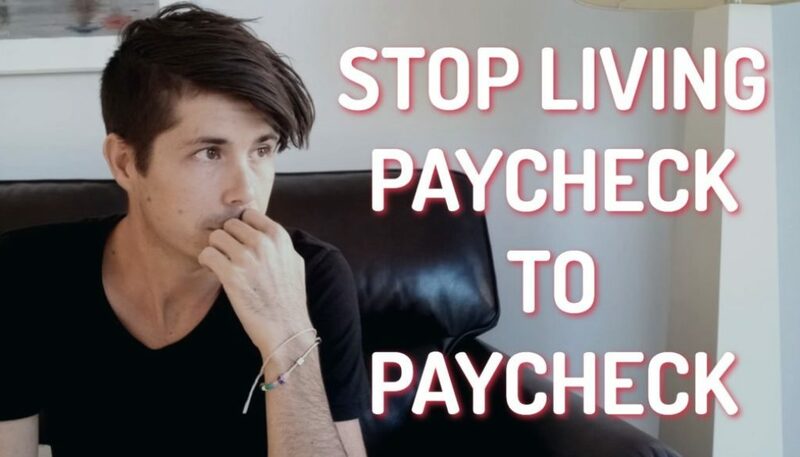 You don’t need to stop, you don’t need to quit your job, only live off the money that you have. And if you’ve done two properties to financial frame, you’ll have a baseline financial freedom. So you won’t be extremely rich, but you’ll have enough income to live off. Um, you don’t need to stop there. You don’t need to stop. Once you’re financially free, you can keep going. You can keep working, you can, your time is then freed up because you don’t have to work anymore to then focus on building your wealth if that’s what you want to do. That could be building a business that could be continuing to work, a job that you enjoy, that you get paid for. It could be continuing to buy more properties, maybe more foundational properties, excuse me. Or maybe you’d go in and you purchase more advanced developments and things like that to really accelerate and grow your wealth. So once you achieve stage three, once you achieve financial freedom, it doesn’t stop there. That’s really when the journey begins towards wealth because you now have a foundation of financial freedom. You know that no matter what happens, unless of course you get into debt and you have bad things happen, but you know that you have that financial freedom to fall back on, you know that you don’t need to work in order to live. You know that you have that there. That then allows you to free up your mind, free up your creativity, free up your working life in order to pursue longer term wealth. And so I really liked that idea that it doesn’t stop once you’re financially free, that you can continue to build wealth. So Ben arguably has been through all these three stages where he has acquired his properties, paid off debt, and basically achieved financial freedom. And he’s then gone from that point to say, okay, I have this baseline of financial freedom. What am I going to do now? And so he continues to build businesses and continues to invest in property and is continuing to go back to stage number one and buy more foundational properties and expanding his wealth that way. So once you reach your financial freedom, that’s not the end of it. You’re not done at that point in time. The journey continues and you can continue to build wealth. And in fact you are in a better position to build wealth than you ever have been. Because imagine going to banks and saying, look, I’m working this full time job. I’ve got a great income, but I’ve also owned these properties that are completely paid off and I’m getting x amount in rental income from those properties. The banks going to look the income from your life and say, okay, well how much can you borrow in order to buy again? So you might go through this stage, have that baseline so you feel secure. And then he might go again back to stage number one, start all over again. So maybe you did two properties to financial freedom achieved it, and then you go back to stage number one and you’re going to buy another fall or something like that. You know, we can constantly jump between the stages and doesn’t finish once you reach financial freedom. The next core concept that we don’t talk about enough is this idea that you can still buy your own home. So we don’t really talk about buying your own home in this strategy because owning your own home doesn’t make you financially free because it doesn’t generate you income. So you can do the two properties to financial freedom and then rent and still be able to afford to live your life. But if you just buy your own home and pay it off, you have less expenses. But if you don’t have the income coming in, you’re not financially free. So two properties to financial freedom. We don’t really talk about buying your own home, but buying your own home is definitely an important part of this. For a lot of people, there’s a major benefit in owning your own home outright in that you no longer have major expenses to pay. So if you own your own home outright, you don’t have to pay rent and you don’t have to pay a mortgage, you just have to pay the other expenses on the house. That means you have less liabilities, have less expenses in your life, which frees up that money which you can then use on your lifestyle. So that’s a really big part of it as well. A lot of people want to own their own home and a lot of people can leverage from their own home in order to buy the foundational properties as well. So there can be capital gains tax. Um, I mean there can be capital gains, benefits and tax benefits from owning your own home as well. If you buy a home. And you know what I’m talking about, I’m not a tax accounting, so I can’t give taxation advice, but there’s benefits to owning your own home, your own home can help you leverage into future properties as well. And I was talking to one listener of on property recently that was saying that purchase their own home, they’re looking at building a granny flat on it and then they’re actually going to move out of that own home into a new home and they’re going to turn that home into an investment property. So they’re actually home hopping and then turning the old principal place of residence into an investment property. So owning a home is important for them and they using that as a strategy in order to build their portfolio and build stage number one. So owning our own home is still a big part of this and something that I would probably encourage people to do if they can and if it’s something that they want. Obviously for me, when I look at buying my own home, I think about the stability and security that that gives me and the fact that I can make that exactly what I want. 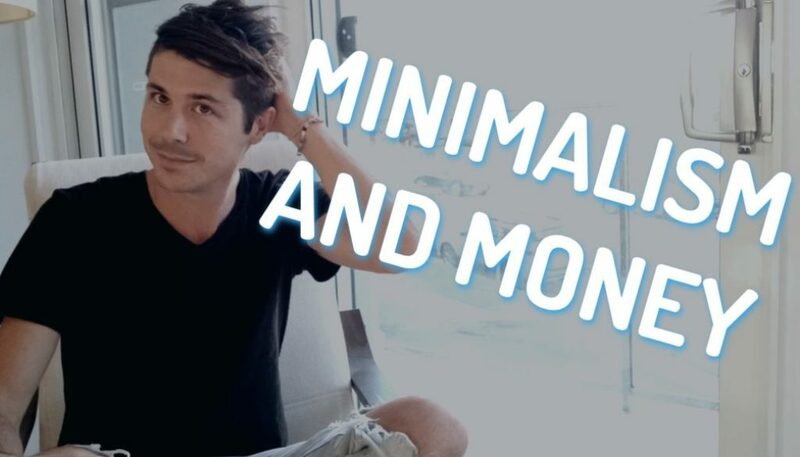 I’m a minimalist and so my style is different to a lot of other people’s style. So I could make it exactly what suits and my children and the partners and things in my life. And so I like that idea of it. But I also like the idea that by purchasing a property and paying it off the same, I go from stage number one, stage number two, pay off debt. I’d be in that focus. And then when I reached age number three, you freedom. If I paid off my home, then I don’t have to pay the mortgage anymore. So constantly think about how you can fit buying your own home into this strategy, how you can integrate it in. Really, there’s so much flexibility around how you do this strategy. You could do the two properties to granny flats first, then buy your own home. You could home hop life that listener around property has done. There’s so many different ways you can go about implementing this strategy that it’s really up to you. Um, and the last concept that I want to talk about is the idea that you don’t need to stop it too. And I’ve kind of already talked about this anyway, but two properties to financial freedom really just gives you baseline financial freedom. It gives you enough money that you know you you’re not going to be struggling is the idea here that you can feel secure in and of yourself, but the amount of money it’s going to give you probably isn’t going to be enough for most people to be really happy and to really live the life that they want and the whole had the holidays that they want and all of that sort of stuff. So sue probably some financial freedom can get you there if we take into account capital growth and rental growth on top of that, if you get really good growth then it might get used to that level of income. But we kind of don’t like to take that chance and we like to be conservative in our estimates and so you don’t need to stop at two properties so you could spend more time. And this is my plan and I talked about that in the strategy session I did with Ben where he ran a strategy session with me. And he said, what’s your plan? I said, I want to spend as long in stage number one buying properties as possible, so I just want to stay in stage number one as long as I can, buying as many foundational properties as I can because stage number three and getting to stage number three as quickly as possible isn’t my goal. My goal is that when I do get to stage number three that it’s a biggest possible and that it’s as wealthy as possible, so I want to spend as long as possible in stage number one or maybe I, I reached lending limits and then have to move to stage number two for a time before I can go back to stage number one again, but I definitely don’t want to stop at two properties to financial freedom. I think I would like to get to four or five properties at minimum and imagine that owning five properties, having 10 rental incomes coming in so that if one property is vacant, that’s only 10% of your income that vacant. Whereas if you’re on the end, one property, a granny flat and that’s vacant, that’s 100% of your rental income that’s vacant. So I love that it’s spread your risk as well. And I guess the way that I saw my strategy working is that I would spend as long in stage number one as possible, buying as many properties as possible. And then when I moved to stage number two, paying off debt rather than paying off each of the properties at an equal pace. What I would do, or what I think I would do is then focus all of the extra cashflow on paying off property number one. And so what I would do is I would try and accelerate the debt on property number one and leave properties two, three, four, five just paying off slowly over their 25 year term or however long it is. And just try and pay off number one as quickly as possible. And then once number one is paid off, I know that I have one property to financial freedom. So I know that I had the security of one property that aim, the banks have no say over it. And so I would love that. And then I can choose then to, well maybe I take the income from property number one and I add that to my lifestyle. Or maybe I then funnel everything into property number two and paying that off as quickly as possible. Then once the property’s two’s paid off, I can then step up my lifestyle or I can continue to focus on paying off property number three. So kind of gives me flexibility there that I can step into my financial freedom. So once property ones paid off, I could then have, you know, 20 to 30 grand per year. That just improves my lifestyle while I continue to work or I can, you know, work part time and shift to that. And then once property two’s paid off, then my income passive income steps up and my lifestyle improves. Then once property three is paid off, then my last improves again. Then property for them, property five, et cetera. So you definitely don’t need to stop at two properties to financial freedom. You can go above and beyond that. And most of the people we talked to do want to go above and beyond that. But I really liked the idea of starting it too, having that security and then deciding from there what you, what you want to do with your life, how you want to grow your portfolio and what avenue you want to take. Um, another core concept that I’m thinking about just now is that this strategy has a lot of flexibility in it as well. So Simon, I talked to him about it and he’s looking at not building a granny flat on the property that he’s built. So that is purchased, sorry. So he’s purchased the property. Now some people might purchase their first property and then build a granny flat straight away because cashflow is important for them. But in order to build a granny flat, you need to use some money for a deposit and then borrow the rest. So that money that you’re using for a deposit to build the granny flat, that money could be used to buy a second property. So Simon is going to actually spend this time acquiring properties because he feels that the cashflow risk doesn’t matter for him. He doesn’t need the cashflow at this point in time and he feels confident that he can pay those loans. For me with three children, I’m less in that state and especially going through a position where I was financially free, but then business went backwards at the exact same time that I went through a separation and I had to go into debt. Um, I’ve been through harder times in my life. So for me cash flow is more important because I understand the risks that occur in life and I have a responsibility for my children as well. So for me, I would be more inclined to buy a property, build the granny flat straight away, have it positive cashflow and taking care of itself before I jumped into property number two. But Simon was happy to do number one then by number two, then go back at some point in order to build the granny flat. So he’s taking a different approach to me or to what I think I would take. So this flexibility in that. And the same with that on property listener I talked about, they’re buying their own home and then building a granny flat on their own home. So, and then they’re going to jump into another home. So they’re kind of doing the same strategy but they’re leapfrogging it in a way and adding their own home into the mix. And so they’re using a different strategy as well. So the same core concept, the same end goal, but there’s so many, so much flexibility in the way that you can implement that and the way that you can achieve it. So the end goal is quite clear, um, the steps that you take to get there, you can be flexible with that based on your circumstances and based on what’s important to you. So they have some of the core concepts around the two properties to financial freedom strategy. I absolutely love this strategy. If you want to download a cheat sheet on just this strategy, quickly explained that you can print out, look over yourself or you can share with your partner or partners or children or cat or dog or whoever it may be going to on property.com. Dot. A U four sash, two properties. And you can download that over there. So I want you to really understand this strategy. I want you to get this into your heart, get this into your soul, get this into your mind and fully understand it. So because I believe this is going to change so many lives. So going on property dot come to you for sash two properties to download that cheat sheet over there and yeah, try and really understand this and then decide if it’s for you and maybe this strategy isn’t for you. Maybe you want to take some other avenue of investing and I wish you the absolute best in doing that. But I think for a lot of people this strategy is going to be mind blowing. The strategies is going to be life changing. And in 15 and 20 years, we’re going to have so many people that are now have financial freedom in their lives because they implemented this strategy at the moment. So I’m excited for the future. I’m excited for you. I’m excited for you to acquire your properties, for you to set yourself up for financial freedom in just the short time period. I’m excited for you to have the freedom to go out there and live your true self, be your true self, and give all that you are to the world. Because that’s what I think the biggest thing financial freedom has done for me, is the freedom to truly be who I am and to express that to the world and to try and give back to the world. But in a way that very true to my core of who I am. And that’s not an easy thing to do. Um, but it’s a very powerful and very liberating thing for me. So I want you to get there as well. I wish you the absolute best in your property investment journey. Again, got to on property.com dot. A U four dash two properties. You can use the number two or you can write the number two it doesn’t matter, but I’m probably u.com now you force us to properties, download that cheat sheet and until next time, stay positive.